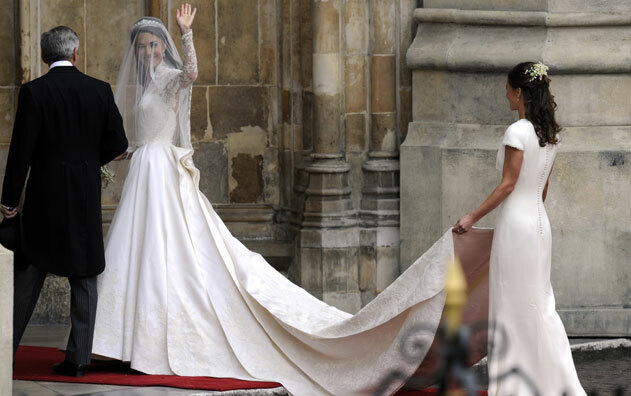 A simple and elegantly exquisite wedding dress - a reflection of the royal bride. She looked stunning and absolutely regal. And what a ceremony... it was magical and fairytale-like. Everything a wedding should be. If only the late Princess Diana could've been there. I'm definitely looking forward to see more pictures tomorrow! Waalaykummusalam, I agree. Very beautiful! i love her simple and grace-kelly-inspire wedding dress!! Yay! I also watched the wedding. Its a shame I was only 3 hours away from it. But it looked just as magical on TV. Her dress was stunning! And I definitely have to agree with you on it being the 'wedding dress' of the year. As its been so chaotic here in the UK, I've been totally distracted from studying, heehee. But her dress was very very beautiful!